At once monumental in scale and public-oriented in character, organs are of all musical instruments those most implicated in the history of men: witness that of the Collegiate Church of Douai, looted at the end of the Great War, replaced in 1922 by another built in 1914 for imperial Russia and never delivered… On 15 August 1919, a month after the Victory Te Deum, a British patron of the arts, Claude Johnson, attended Vespers at Notre- Dame Cathedral in Paris. 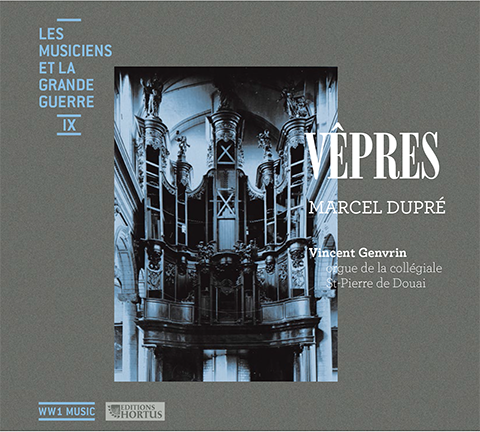 Thrilled by the improvisations of Marcel Dupré, who was substituting for Louis Vierne at the time, he asked him to write them down: the result, Fifteen Pieces op. 18, was premiered in 1920 in London.